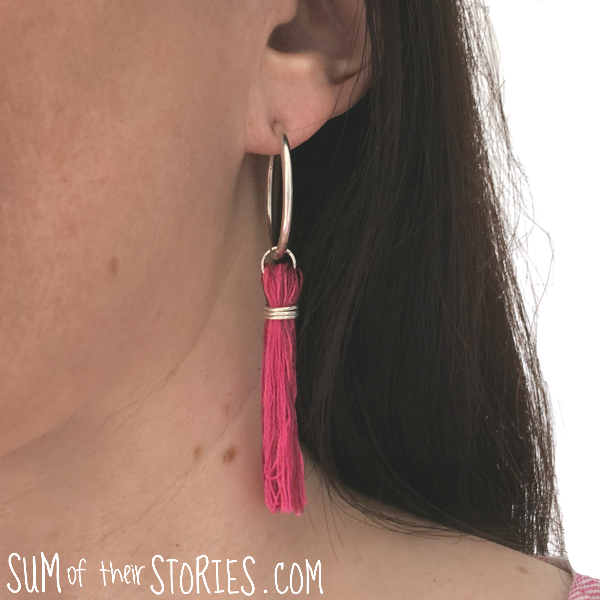 Tassel earrings are all over the place at the moment and it's so easy to make your own. 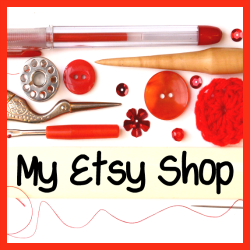 So I did what any self respecting crafter would do and made some! 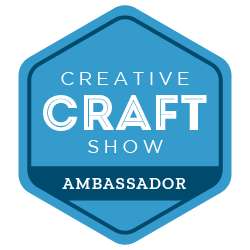 This is a really quick craft, it will take you longer to get everything out and put it away again than to actually do the making - honest! Hoop Earrings - mine are some I've had forever, they were my Mum's from back in the 70's but any hoops you have will do. I didn't have an exact colour match of thread for my dress (and no time to go shopping!) so I mixed a few colours of thread, I love the result but if you can get thread in a perfect match that would work well too. Cut several lengths of embroidery thread approx 1 metre. I cut 3 lengths, one of each colour I was mixing. 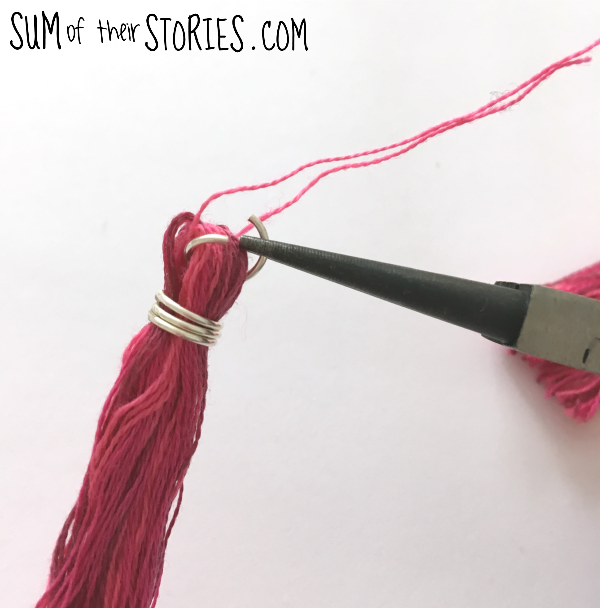 Separate each of the 6 strands of embroidery thread and then lay them together. This seems like a faff but it makes the tassel fuller and more even so I think it's worth it. I used 9 strands like this together for each tassel. 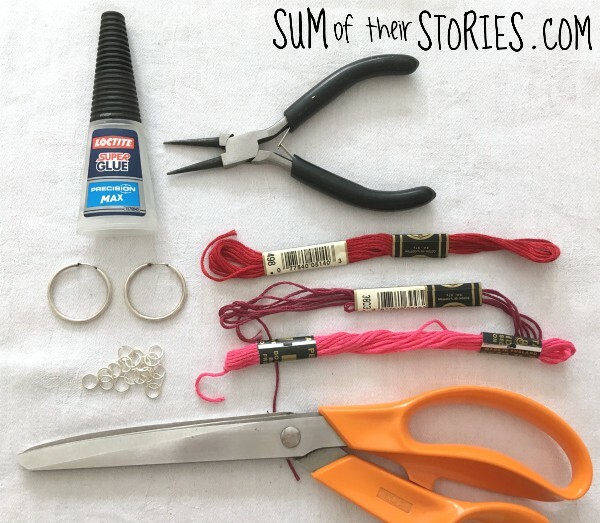 Grab something that is approx 5cm (2") wide and wrap the thread around and around. I used the bag my jump rings came in as it was to hand but a piece of card would work just as well. Just make sure the ends of the thread are both at the bottom. 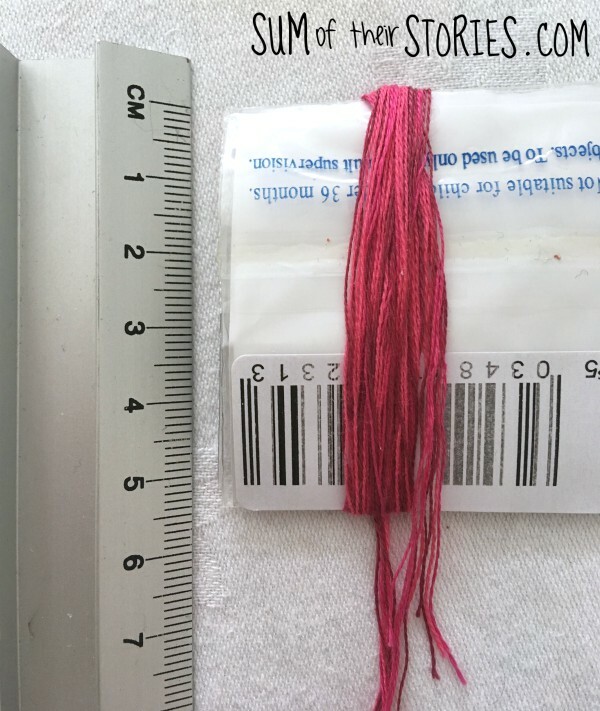 Slide the roll of thread off the bag or card and take a short spare length of thread and pop it through the top of the loop. Slide 3 jump rings onto the single thread and down onto the looped bundle of threads. Add a blob of super glue to hold the jump rings about 1/2 cm from the top and give it a moment to dry. Open a jump ring and pop it through the loop at the top, then close it back up. The thread helps to keep the gap in the loops open, once you've added the jump ring you can disguard that extra bit of thread. Trim the end of the tassel. Now just make another exactly the same. Now all you need to do is slide them onto your hoop earrings. My hoops are smooth and don't have any kind of catch on them so this was easy. 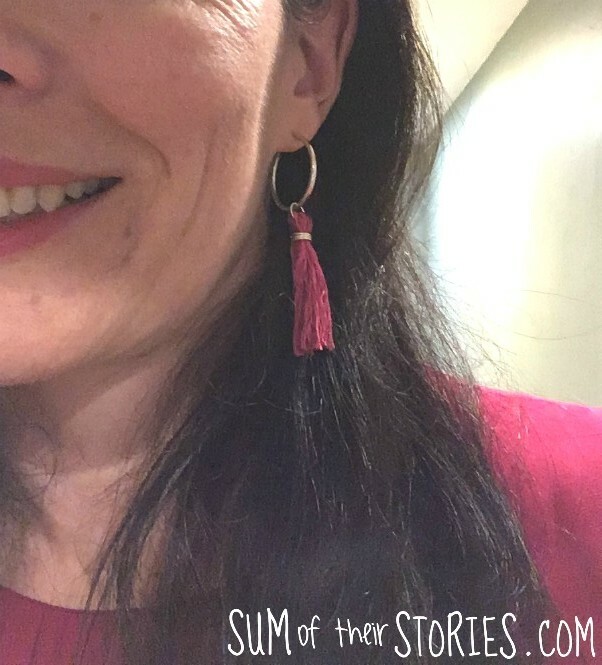 If you had hoops with more of a catch you could always add another larger jump ring between your earring and the jump ring on the tassel. Here's a dreadful bathroom selfie of me wearing the earrings at the wedding last Friday. Just a little bit of real life thrown in! Can we all see that my dress is pink? I had quite a few people comment on the night about my red dress! It's pink - definitely pink! The threads ended up being quite a good colour match too. Update: I finally got around to it and made a couple more sets of tassels. 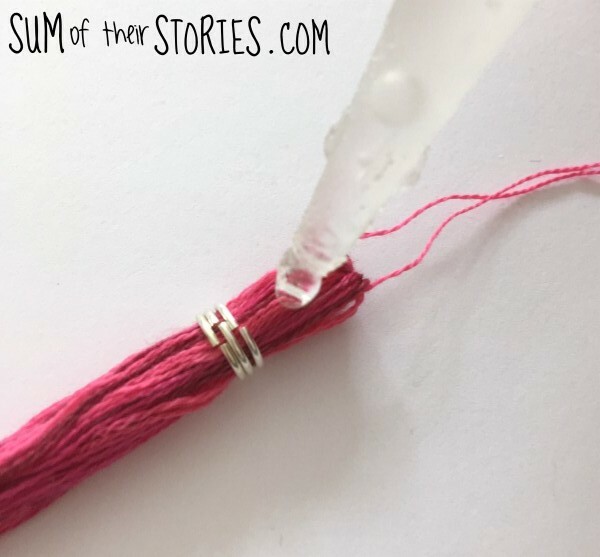 I used a pearl thread this time and made some in my most favourite colour red, plus some in this variegated DMC pearl thread that has a Unicorn feel to me.